We strive to update our technology frequently to provide our patients with the best care! 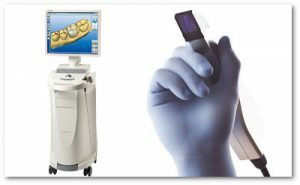 Laser from Sirona – Work stress-free. Laser therapy means state-of-the-art dentistry and modern patient care all in one. 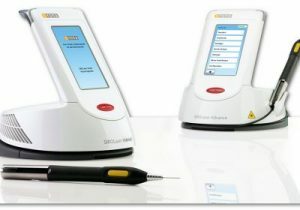 Due to the number of advantages, a dental laser should now be a standard feature in our dental practice. It expands our services with a range of treatments that are pain-free alternatives and achieve better results, stress-free. Digital X-Rays and CT Scans in 3D! 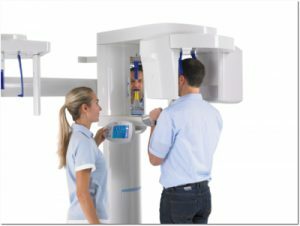 With a perfectly designed 3D cylinder volume of 8 cm in diameter and 8 cm in height and a standard resolution of 160 µm, ORTHOPHOS XG 3D is precisely tailored to the everyday routines of private practices: it can capture the patient’s whole jaw in a single span. The field of view is large enough to avoid the stitching of several 3D x-ray images and thus multiple exposure to radiation. Yet it is also small enough to be a time-saver in diagnosis. Having a crown placed used to be a long procedure requiring several visits. Because crowns need to be prepped, impressions must be taken, and the crowns must be fabricated in a laboratory, you generally had to wait one or two weeks between first first procedure and the final crown placement. In the meantime, you, the patient, were left to endure the discomfort of being without a crown. Fortunately, at Dental Ramona, patients can have their smiles restored comprehensively and ultra-efficiently thanks to our CEREC one-visit crown service. 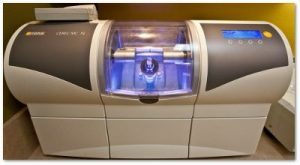 Digital scanning with CEREC is easy: acquire an image of the preparation and opposing jaw with the CEREC Bluecam. Just a few clicks are needed to draw the preparation margin. The software assists with marking and supports a pivoting 3D view. Quick and easy designs: CEREC software analyzes the entire image and uses the results to calculate excellent restoration proposals. This allows us to save time and arrive at the last step in the process – production – much more quickly. 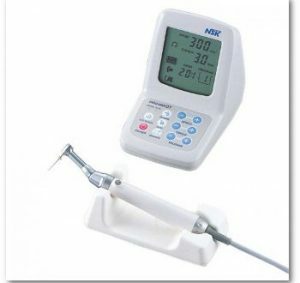 A smart and portable endo machine. It’s an ultra-slim and compact hand-piece with torque control and auto reverse. 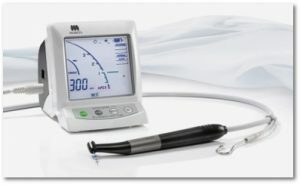 ENDO-MATE DT is smart enough to memorize exact speed and torque settings for many files. Its auto-reverse features three working modes – auto reverse on, auto-stop, auto-reverse off. With on-off switch, it offers flexibility of pedal-free operation, while providing convenience of full portability. It was the first unit with the ability to work in wet canals – measurement is not affected by the presence or absence of blood, other discharges, or electrolytes. Root ZX® II features patented technology which offers an accuracy rate of 97.5%*. User friendly, its display screen is large and easy to read. The action of the meter in the display corresponds exactly to the tactile sensation of using the file. Other features include: slim, lightweight file holder, no zero-adjustment, automatic calibration, battery power indication, and automatic power off function.